I just added the below caption to the Trombone History Timeline (17th century, 1626-1650). I will also be adding it to the collection, Perching on the Pipes and Angel Trombonists Throughout History. 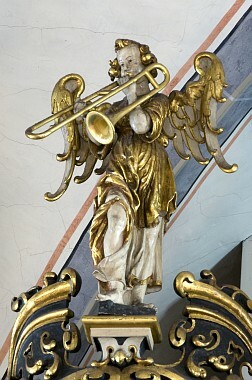 Incidentally, 1631 is not early for depiction of angels playing trombone, but it is one of the earliest of the many examples of angels playing trombone on organ cases. 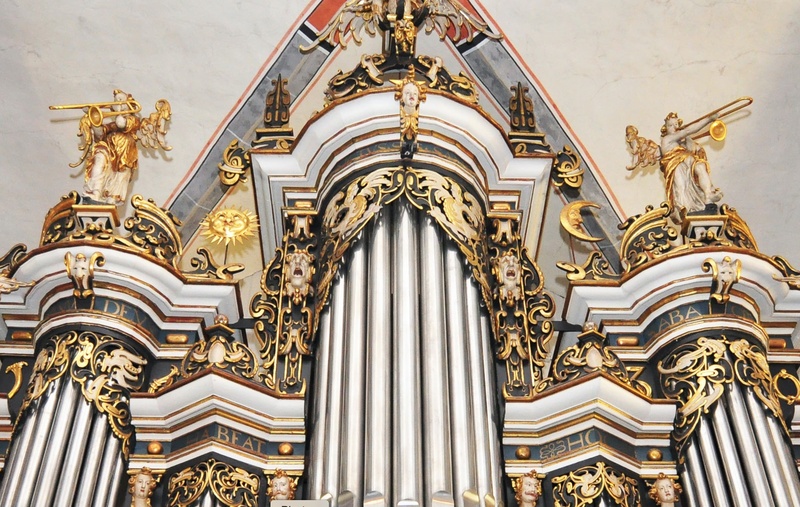 1631—Braunschweig (Brunswick), Germany: The organ case at Martinikirche (St. Martin’s Church) features a pair of trombone-playing angels (see detail and wider detail below; special thanks to Raymond Faure).